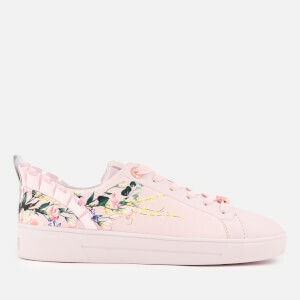 Ted Baker’s signature floral print decorates the baby blue trainers and trickles over the sole. 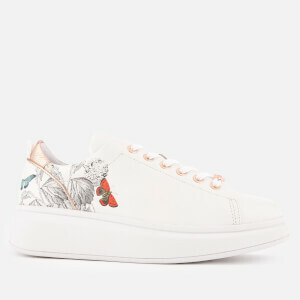 The ‘Orosa’ low top trainers come with a lace fasten, a padded collar and a heel pull tab. 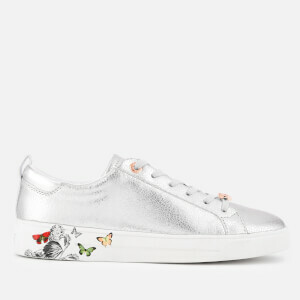 Rose gold and metallic silver elements enhance the shoe. Finished with the brand’s bow and branded plaque on the heel license plate.